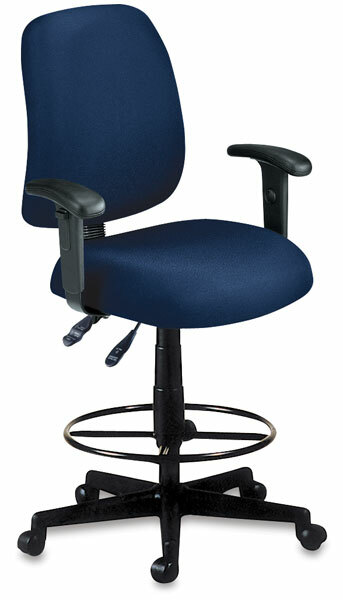 These are task chairs loaded with features: built-in lumbar support, stain-resistant fabric, easy gas lift seat height adjustment, and a 25" (64 cm) diameter five-star base with casters. The chairs have a 250 lb (113 kg) weight capacity and include a footring kit and height extension pole that modifies the chair to a height comfortable for drafting. Chairs also feature a back with an ergonomic height/pitch back cushion adjustment.